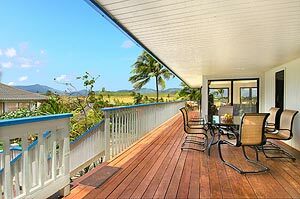 Located on the second floor the kitchen is a continuation of the living and dining rooms and is equipped with all the modern conveniences and Koa cabinets. 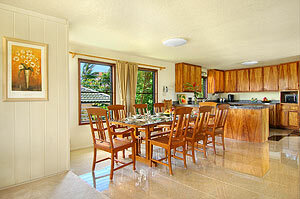 The large wraparound second floor lanai invites you to relax and enjoy the panoramic views. There is ample space for sun tanning, reading a good book, play games, meditate or eating out doors. 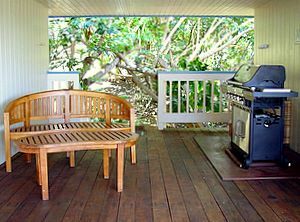 A large gas grill, also on the lanai, makes cooking a breeze. 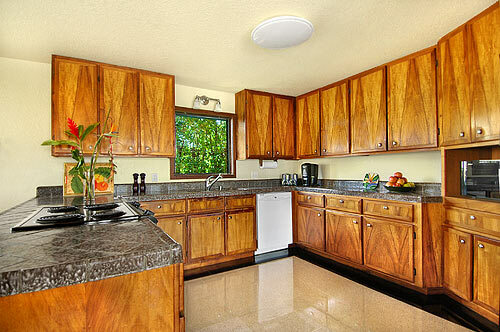 Great mountain views while you are cooking!